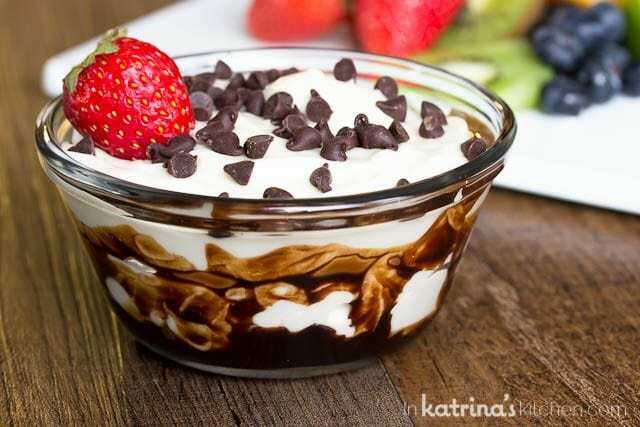 Perfectly sweet and tangy- you’re going to want to dip everything in this chocolate swirled Dessert Fruit Dip! 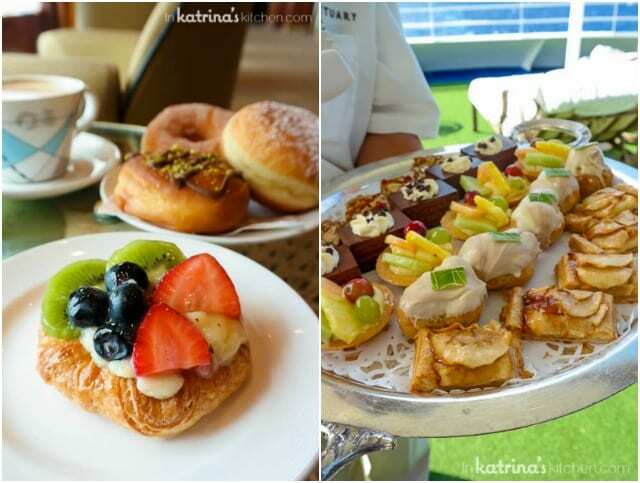 I am excited to share with you some recipes inspired by my recent Panama Canal cruise with Princess Cruises. This was a hosted event. All opinions, photos, and recipes are my own. 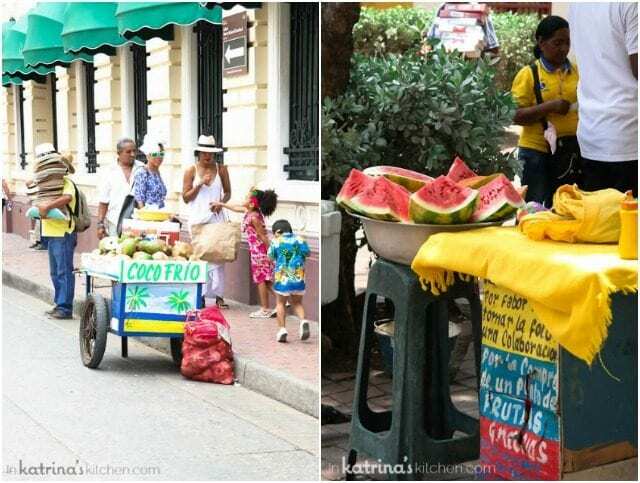 Having just recently returned from our cruise I was inspired to get in the kitchen and whip up some desserts that reflected my time traveling through the Panama Canal and I kept coming back to fresh fruit. This Dessert Fruit Dip is perfect for fruit, graham crackers, pretzels, and more. But definitely FRESH FRUIT! Who can blame me for craving this summer sweetness when I got home?! Nothing quite goes together like chocolate and fruit. 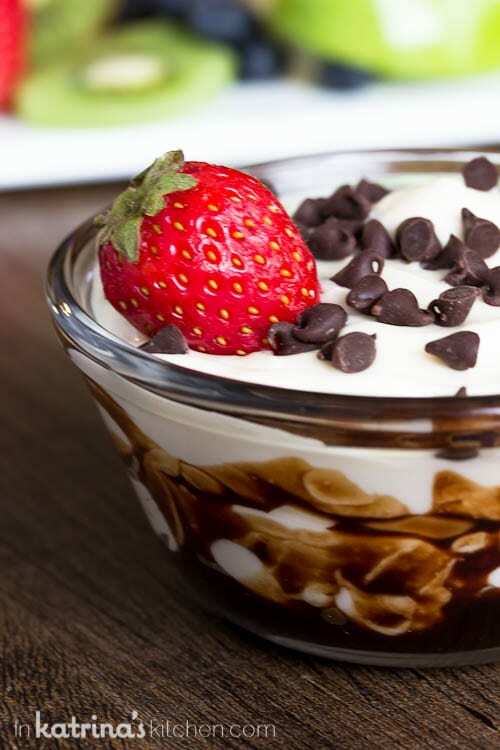 Fruit makes for a perfect summer desert anyway and when you add a chocolate swirl and some mini chocolate chips, well that’s just icing on the cake! 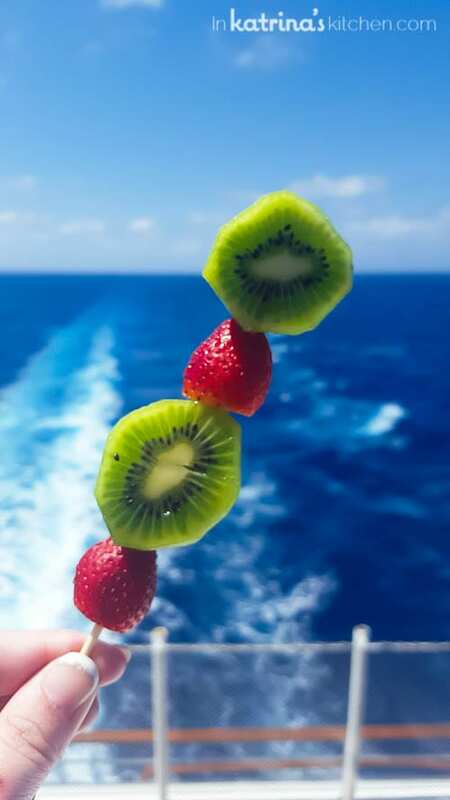 I enjoyed fresh fruit every day on our cruise and in every port. Cartegena, Columbia especially had a lot to offer. Every few feet had something to help you cool off in the wonderful, warm sunshine. When I returned this Dessert Fruit Dip was just the logical choice so that I could keep indulging in the tastes of summer. 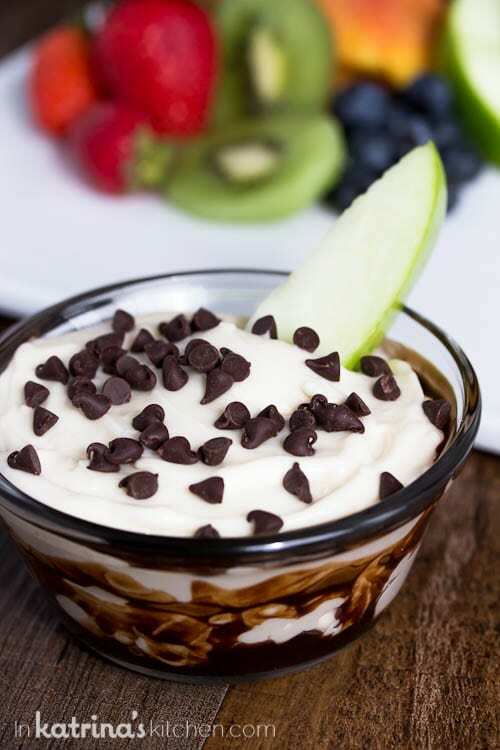 Perfectly sweet and tangy- you're going to want to dip everything in this chocolate swirled Dessert Fruit Dip! In the bowl of your mixer, beat the cream cheese, butter, vanilla, and powdered sugar until light and fluffy. Swirl the chocolate sauce in the serving bowl, top with fruit dip. Sprinkle with mini chocolate chips. Can be prepared the night before, however wait until serving to add the chocolate swirl and chocolate chips. 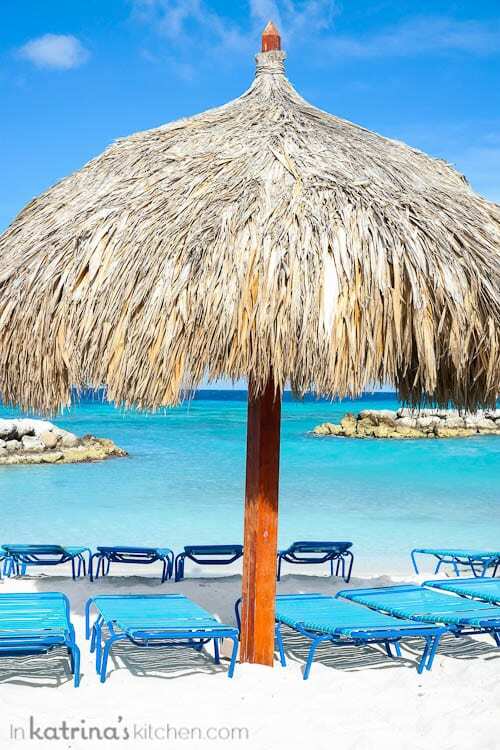 The only thing that would make this dip better would be this view (Aruba)! Our Panama Canal cruise made stops in Aruba, Columbia, Panama Canal, Costa Rica, and Jamaica. Seriously, don’t miss this one! If you love cruising and love history this cruise is for you.